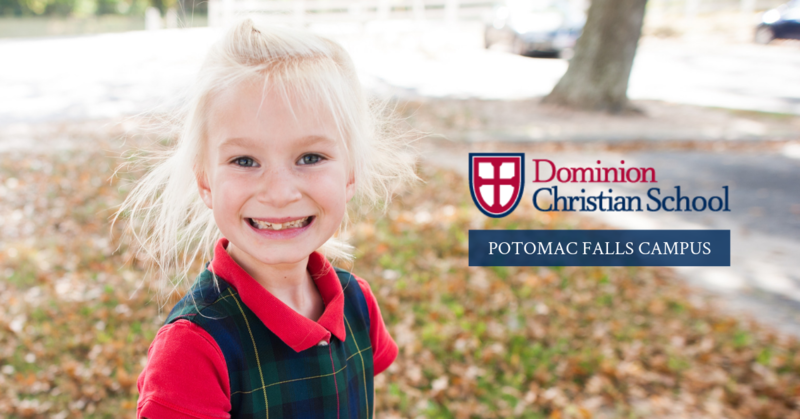 Dominion Christian School is expanding to Loudoun County! We're thrilled to offer grades K-2 to families living in the Potomac Falls area. Complete the form to make sure you're updated with information about parent Information Sessions, campus tours, and home meetings. Students who apply to Dominion’s Potomac Falls campus during the month of April will have their application fee credited in full towards their 2019-2020 tuition if they enroll. Enjoy this savings of $150. per student application! This offer ends on April 30 and applies only to new applicants for the Potomac Falls campus only. Complete the form or call Mrs. Anna Wishard (703) 758-1055 for information. Read more about our exciting new campus in Potomac Falls, opening Fall 2019! Complete the form to inquire about Potomac Falls campus!